The Volkswagen Tiguan is a small SUV with the same discreet styling, user-friendly cabin, civilised road manners and efficient engines as the Golf. Offered with front- or four-wheel drive, the latter is ideal for those who want to tow, while there’s an Escape version for anyone who wants to do some light off-roading. 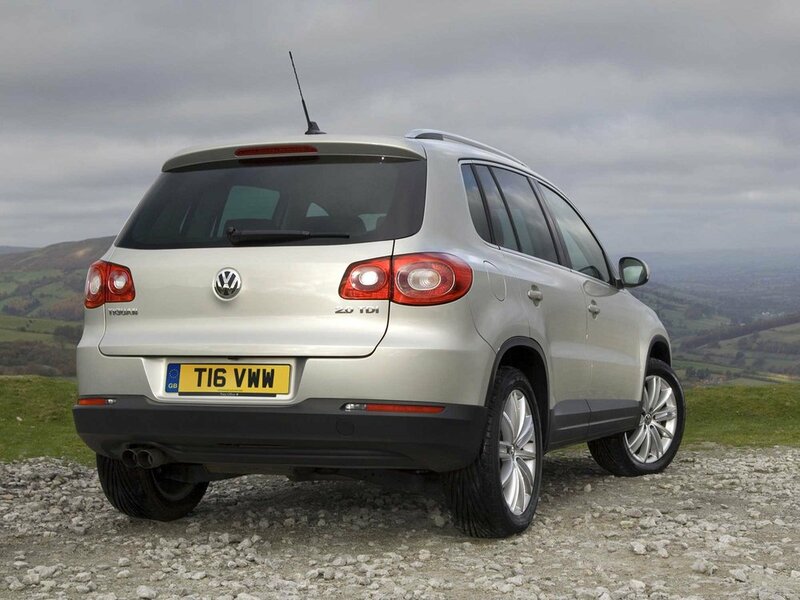 The Tiguan impresses with its refinement, high-quality cabin and practicality, but if value is one of your priorities you might be less keen as the Tiguan is a premium car. However, its build quality, refinement and spacious cabin make the high prices justifiable, while equipment levels are good too. 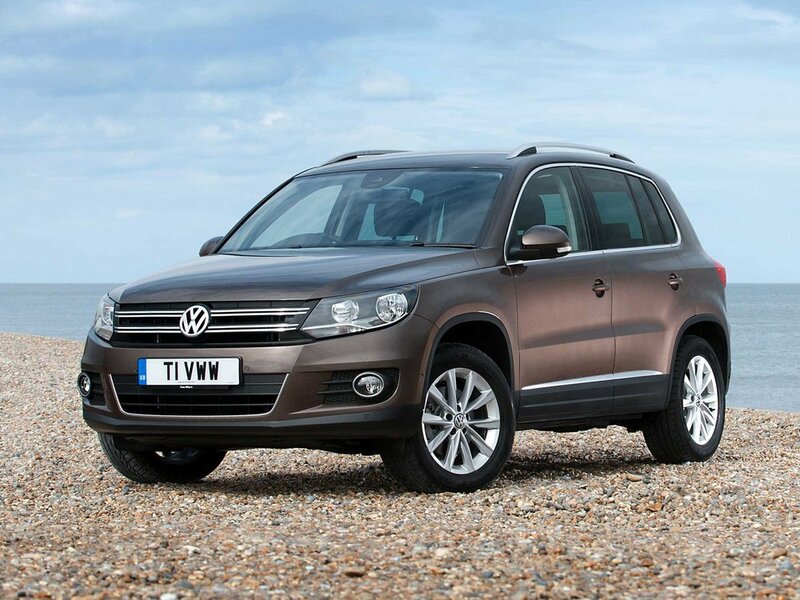 2/08: The Tiguan arrives with 1.4 TSI petrol or 138bhp 2.0 TDI diesel engines. There are S, SE and Sport trims, with Escape offering greater off-road capabilities thanks to underbody protection, hill descent control and a redesigned nose for a steeper approach angle. 4/08: A 168bhp 2.0 TDI engine joins the range. 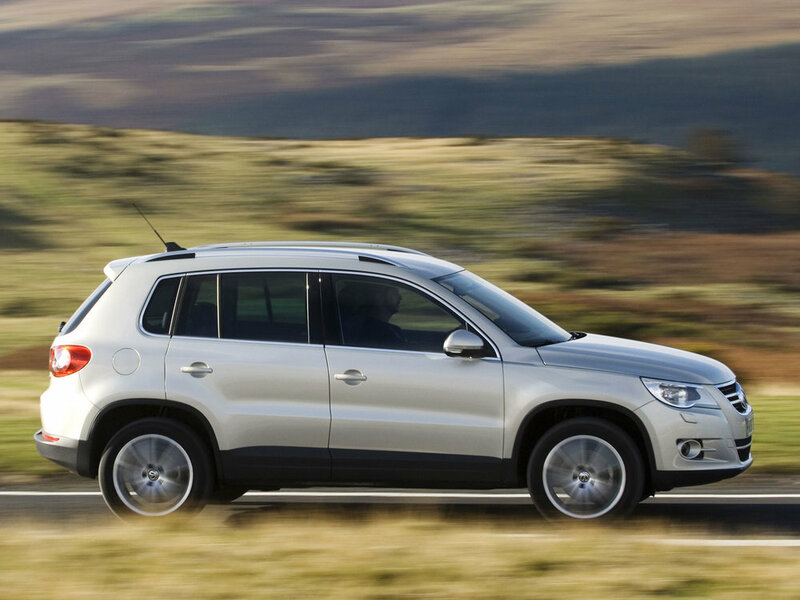 10/08: A 2.0 TSI engine is now available in 168bhp or 198bhp guises. 11/08: The Tiguan initially came with 4WD only; from this point on there are 1.4 TSI and 2.0 TDI 140 front-wheel drive options. 9/11: A facelift brings a 2.0 TDi 110 engine, more efficient powerplants and extra equipment. 10/12: R-Line trim brings sportier design features. The 2.0 TDi engine can stall easily when starting off, if you don’t use the revs, so watch for worn clutches. Rattles aren’t unknown; some owners have found that it’s down to broken front suspension springs. Air-con failures have been known, but it’s usually down to the switchgear failing, rather than the compressor. Faulty electrics can be down to damaged fuseboxes, which can melt because of the high currents going through them. The power assisted steering can fail, especially in sub-zero temperatures. It’s usually a control unit failure, but it can be the steering rack itself. The electronic parking brake can refuse to release, because the driver’s seatbelt isn’t latched, or the clutch isn’t fully depressed. The alarm can sound for no apparent reason, especially in cold weather. Adjusting the sensitivity can make the difference – but not always.